The shape, style and stone of your engagement ring and wedding rings or bands will have a strong personal meaning to you. So it is important that both rings match up – the last thing you want is to have one or both slipping off due to a gap or ill-fitting size! In Part 1 we will talk you through the steps we take to make sure your wedding ring is a flush fit with your engagement ring. Part 2 will focus on matching the metals, diamonds and shapes of the rings together. While the majority of customers buy both rings as a set from us, a customer has sometimes bought the engagement ring before approaching us about the wedding ring, or their fiancée has proposed with his own selection. Either way, we have three methods to make sure your rings fit perfectly. If you already have your engagement ring and it’s a good fit, we can use a piece of precious metal wire to shadow the contours of the existing ring. This will help us to create a wedding ring that sits just as comfortably on your finger. Some rings aren’t conducive to contouring due to their angular and dramatic shape. A shape like the round diamond, for example, would be ideal for this method. Using the process of goldsmithing, we shape the ring using various techniques. Through a mixture of sawing, annealing, soldering, hammering and polishing, the final result is a beautiful hand-made ring! 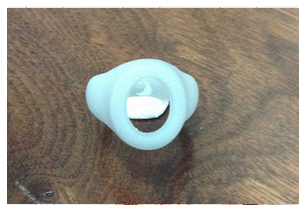 A custom-made wax ring guarantees a great fit. 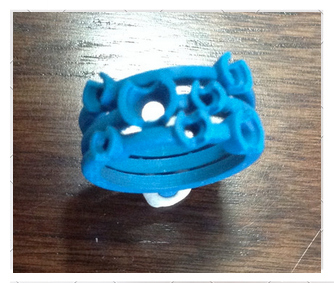 Once we have established the customer’s ring size, we can get to work carving the ring. Carving the ring can sometimes be made easier when we follow a previous template drawn on paper. Taking wax models of an existing ring and combining it with the new wax wedding model allows us to create the best fit possible. If we are making both from scratch, we can fit the two new rings together very easily. At the moment we are working on a very exciting project for a customer (with a taster to whet your appetite in the photo above). We will have the full story and finished ring soon. 3D Printing is a cutting-edge technology that many jewellers are now incorporating into their process. Initially, we worked with a 3D designer to create the perfect CAD design. We sent the master file that we have here plus our ring sketches to give the best representation possible of what the customer wants. 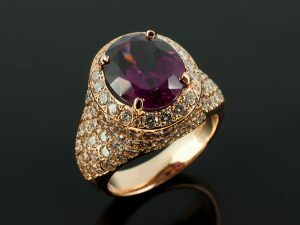 Below is a recent example of a 3D printed ring and the finished ring – a Rhodolite Garnet Cut 4.06ct in an 18kt Red Gold Pavé Diamond Set Cluster Design. 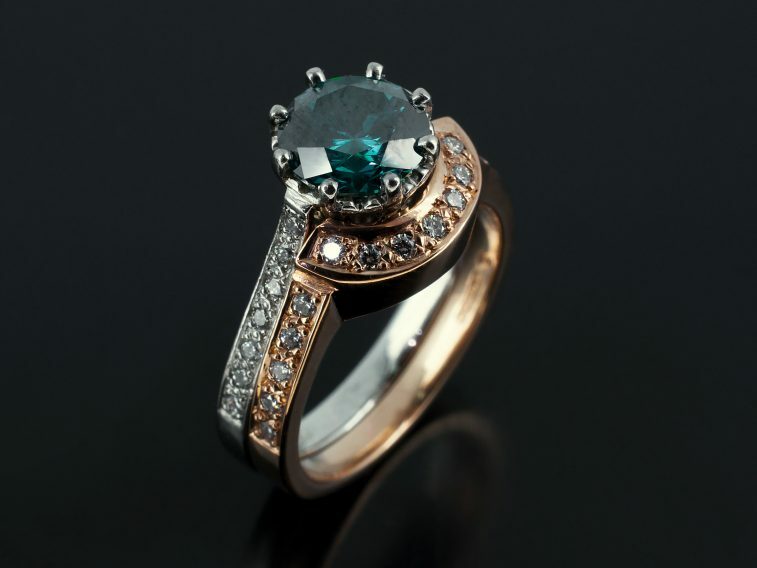 We also offer a service that replaces lost jewellery pieces using a 3D scanner. We had a customer approach us recently to replicate a lost earring that had great sentimental value. The result superseded expectations and photos will follow soon. We hope you found Part 1 interesting – stay tuned for Part 2!